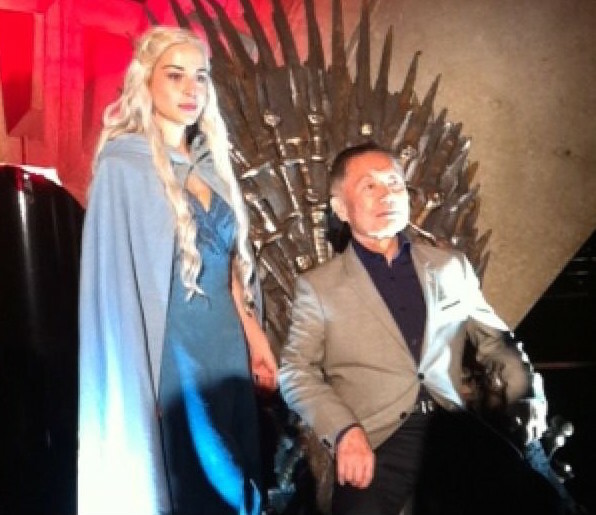 Yesterday’s premiere of the fifth season of the critically acclaimed Game of Thrones broke ratings records when it was declared as the most watched series in Australian subscription television history. With over 553,000 Foxtel viewers tuning into the first episode, the one-hour spectacle was screened live with over 170 countries at 11am followed by a primetime encore at 7.30pm on Showcase. 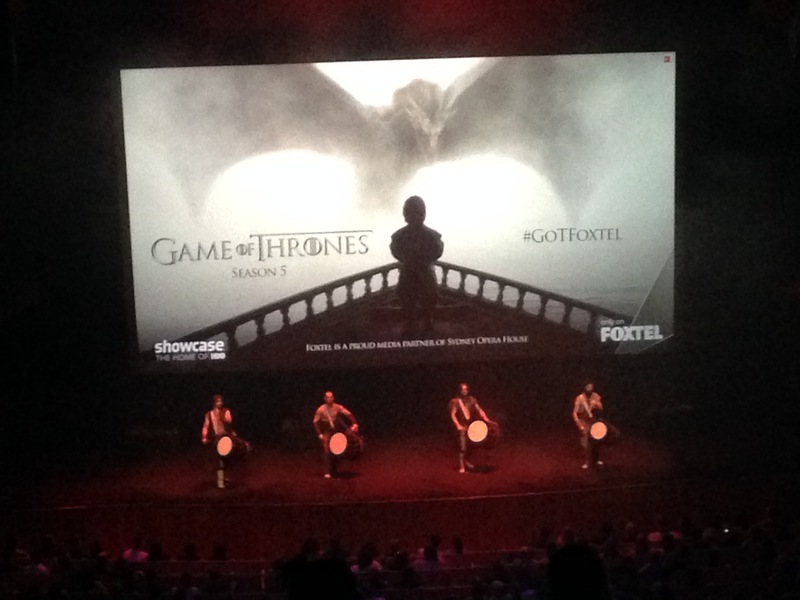 I was lucky enough to be invited to the Australian premiere of this highly anticipated season at the Sydney Opera House. 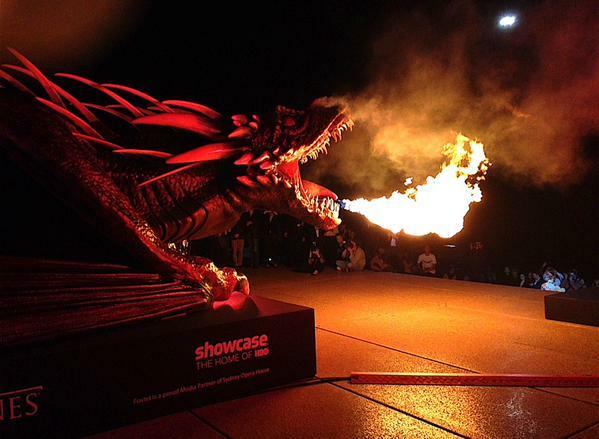 The iconic venue’s forecourt was lit up in dragon fire where a 10-metre long, 6-metre wide ‘Drogon the Dragon’ figurine weighing in at 1,200 kgs stood blowing smoke, hissing and growling with demonic eyes following your every move. As fans made their way up the forecourt steps, Drogon let out huge breaths of fire welcoming them to this epic premiere. Inside the Opera House a Daenerys-lookalike posed beside a copy of the infamous iron throne where guests were given the opportunity to get their photos on the throne (… and essentially be king or queen for a minute). Among the hundreds of guests were Star Trek’s George Takei, Geordie Shore’s Gaz Beadle, Morning’s David Campbell and A Place To Call Home’s Marta Dusseldorp, alongside other distinguished guests. Once we found our seats in the wondrous Concert Hall, we were entertained by extremely talented tribal percussionists dressed in Dothraki warrior gear. After their performance the first episode thundered through the Opera House at an ear-deafening volume. What an incredible viewing experience! If only we could watch the rest of the season in this fashion! Unlike last year’s premiere where we were treated with a surprise visit by the Kingslayer himself (Nikolaj Coster-Waldau), none of the cast members made an appearance this year. 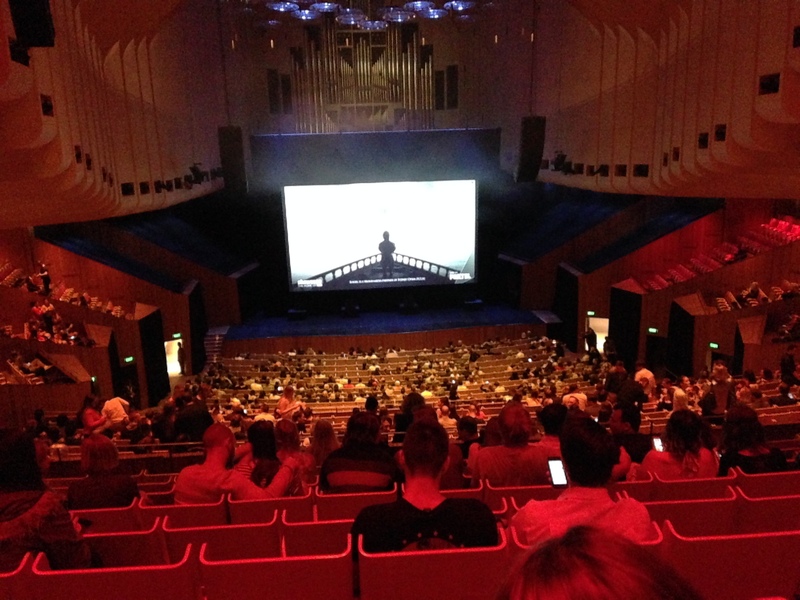 As much as I admire the Sydney Opera House, I really loved the fourth season’s premiere at the State Theatre in March 2014. There were far too many people invited to this event, which was in stark contrast to the smaller, more intimate crowd last year. Moreover, the sound at the Concert Hall was very echoey, which was quite irritating to begin with, but eased off as the episode progressed. But, overall, I am so very appreciative of being invited! All in all, I had a great time and would like to thank Nova 96.9 for the invite! ← There’s Nothing Like Live Television … Especially When You’re In The Audience!